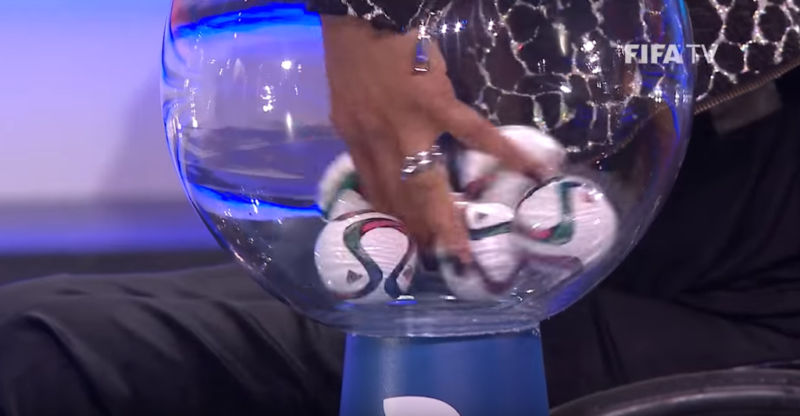 The pots are set for the Saturday’s 2019 Women’s World Cup Draw. Sort of. FIFA has announced the pots based on official world ranking. The caveat is that new rankings come out Friday. We’re not expecting too much — if any — change that will affect the Draw, but where there is FIFA there is uncertainty. That said, let’s take a look at a few potential scenarios that could play out on Saturday. First, a bit about how it works. The 24 qualified teams are split into four pots of six teams each. In theory, teams are selected at random and each group consists of one team from all four pots. That’s almost true. Because there are nine European teams, a few additional rules have to be put in place. Specifically, no more than two teams from Europe may be placed into the same group. Outside Europe, no two teams from the same confederation can be in the same group. Three of the six “seeded” teams which make up Pot 1 are from Europe; they are England, France, and Germany. Four other European teams are in Pot 2 and the other two in Pot 3. Pot 2 will be drawn first with no restrictions. But when it’s time for Pot 3, Scotland and Italy will not be able to go into any group already including two European teams. 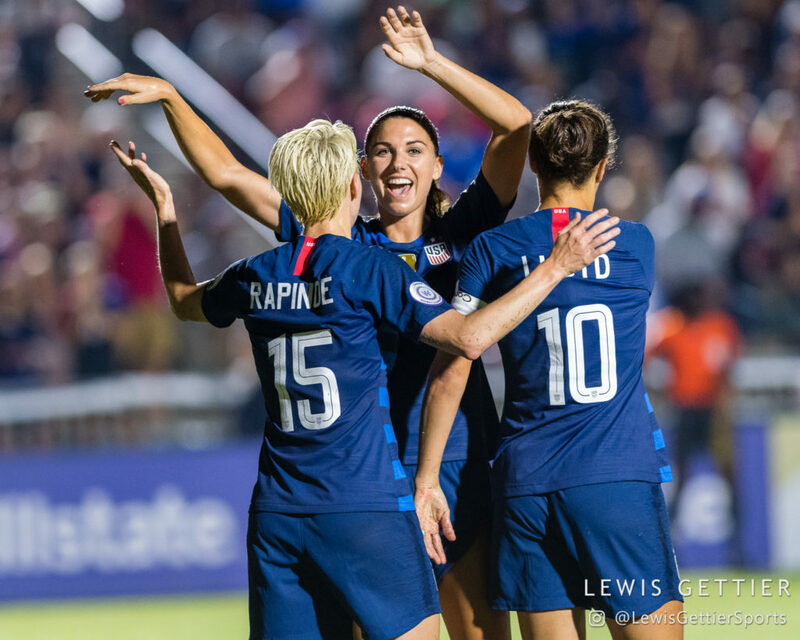 Can USWNT get drawn out of the knockout stage? Fear not my friends. Sweden are in Pot 2. That means the U.S.’ perpetual group foe could once again be on the horizon. The United States and Sweden have been in the same group the last four World Cups and five of the seven all-time. 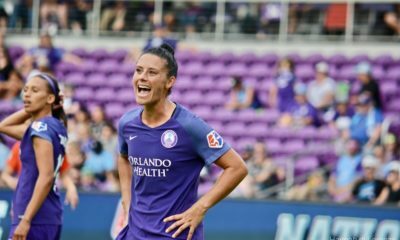 While that might be something of a bore most of the time, memories of the 2016 Olympic quarterfinal loss to former coach Pia Sundhage may make Sweden a more interesting opponent this time around. 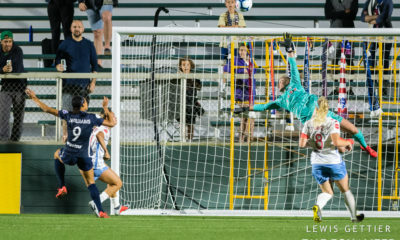 Among the other Pot 2 sides, the U.S. easily handled Brazil and Japan at the Tournament of Nations over the summer. 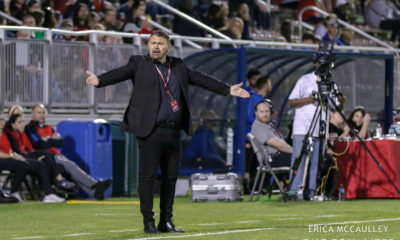 Norway is on the right trajectory but has not been at the level of the U.S. in many years, and Spain will be pleased just to get out of the group stage, despite recent youth successes. The most glamorous match-up from this pot will be the Netherlands. The European Champions fell short in their qualifying group to Norway before surviving a four-team playoff to book their spot. 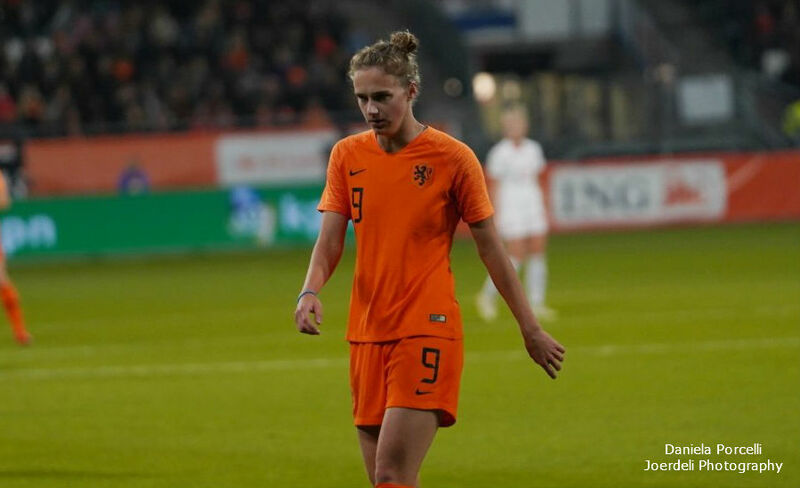 Attacking talent like Vivianne Miedema and Lieke Martens make the Dutch a danger any time they take the pitch. The two teams of interest in Pot 3 are Scotland and South Korea. 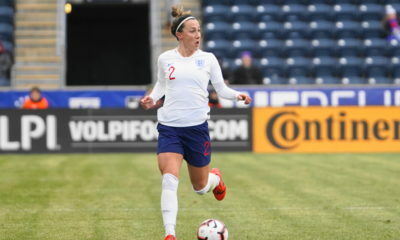 Scotland gave the U.S. all they could handle in a recent friendly, and if they can get Kim Little healthy and in form, it will make them that much better. It should be devil-may-care for the Scots in their first World Cup. South Korea lack the fire power to be a contender but have given the U.S. trouble in the past. China is technically sound but are unlikely to get a result against the U.S. and New Zealand have never had much success against the top teams in the world. A U.S.-Thailand group match could get out of hand. Let’s hope that one does not come off. The Pot 4 teams — Argentina, Cameroon, Chile, Nigeria and South Africa — should be easy targets. Jamaica is from Concacaf and cannot be in the group with the United States. The toughest group the U.S. can probably get would be the Netherlands, South Korea/Scotland, and Nigeria. That won’t scare anyone, especially since in order to say adieu to the World Cup before the knockout stage, a team has to finish last in the group or finish third and do worse than four other third-place teams. That’s just not going to happen to the United States. What if the United States winds up with Spain, Thailand, and Cameroon? That could make for some ugly soccer matches and won’t necessarily do much to steel the Americans for the pressure-packed knockout stages. Which brings us back to Sweden. Every time the U.S. has faced a bunker over the last two-plus years, there have been references to Swedish tactics at the 2016 Olympics and how the U.S. needs to figure out how to beat a low block. That may well be the case, but Sundhage is gone and who knows how Sweden would approach a group match against the United States, anyway, especially when so much of the group tactics depend on when you play and what you feel you need out of the match. The U.S.-Sweden group match at the last World Cup looked nothing like their Olympic knockout affair. If you’re looking for contrasts in styles, perhaps a good trio for the U.S. would be Japan (technical), Scotland (tenacious), and Nigeria (unpredictable). Or perhaps the Netherlands, South Korea, and Chile for a different kind of variety. 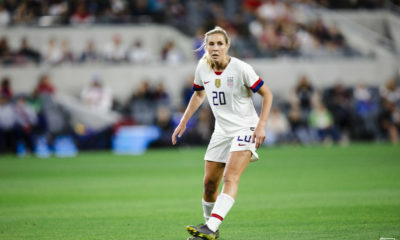 Any way you slice it, the women’s game is not deep enough for any true group of death at this point, so U.S. fans can sit back and enjoy knowing that no group will be to tough to tackle. When the draw is over, expect Australia to immediately fill the role of “wise-guy team,” the one that everyone you know claims has a real shot to win it all. I’ll likely be one of them. They also have the most restraints of any of the Pot 1 teams based on how their fellow Asian sides are distributed, and that they cannot have any of them in their group. That means Australia cannot play Japan from Pot 2 (leaving Brazil, Netherlands, Norway, Spain, and Sweden). And they cannot play China, South Korea, or Thailand from Pot 3 (leaving Italy, New Zealand and Scotland). If Jamaica are the weakest side in the tournament — the World rankings say so — then Australia will be buoyed by having a better than average chance of seeing the Reggae Girlz in the group stage. That’s because Jamaica cannot be with the United States or Canada. Also, if Australia gets Brazil, then Chile and Argentina are also out as Pot 4 candidates, meaning it will be Jamaica or one of the African teams. Chile actually beat Australia in a recent friendly, so don’t dismiss them too quickly. But in reality, it would be a surprise of any Pot 4 team claimed a result against any Pot 1 team. Australia’s best chance to have a shot at winning the tournament will depend on two things. First, can they play low-stress group matches against the teams they should dominate? Second, can they meet the United States at the perfect time to play the game of their lives and pull the upset? Even after the draw, we won’t know for sure when teams will meet because so much depends not only on who finishes where in the groups, but from which four groups advance third-place finishers to the Round of 16. But if I’m Australia, I want to see the U.S. before the final, possibly even in the quarters. Matches like the one Australia will need to take down the U.S. are easier to pull off earlier in a tournament. Can any Pot 3 or 4 team make a serious run? Enough teams qualify for the knockout stage where proverbially, anything can happen, that this notion cannot be outright dismissed. But it’s very, very unlikely that any of these teams are around for the quarterfinals. If they are, it probably means someone got a dream Round of 16 draw. For me, the most interesting of these teams is New Zealand. We can never get a good read on them while they are pummeling everyone in sight inside Oceania, but we have seen New Zealand play well enough to hang with some of the better sides in the world. And yet, in four trips to the World Cup, the Football Ferns are 0-9-3 and have never advanced out of their group. This time, they will have Tom Sermanni at the helm and if they can draw something like Canada, Sweden/Spain, and Argentina, they could find themselves in the top two in the group. Either way they should at least be good enough to beat their Pot 4 opponent and do enough to advance as a third-place finisher. Nigeria has played at every Women’s World Cup but only once — in 1999 — have the Super Falcons played a knockout match. They figure to have a tough go of it no matter the draw and will likely be hoping for Thailand, against whom they should be a solid favorite. Scotland and South Korea will be tough outs but are not particularly likely to give the top dogs too much trouble to go deep. 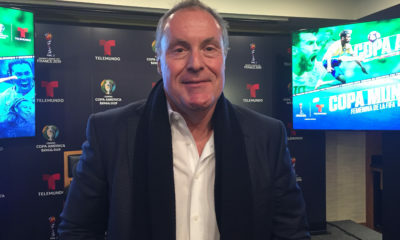 As mentioned above, Chile beat Australia in a friendly and deserve credit for coming to the United States. They should be as prepared as possible but will also have a tough road and may also be crossing their fingers to see Thailand in their group. If I could have the draw go exactly as I want, here’s what it would look like. I picked the groups randomly and have not factored in results or different knockout stage match-ups.